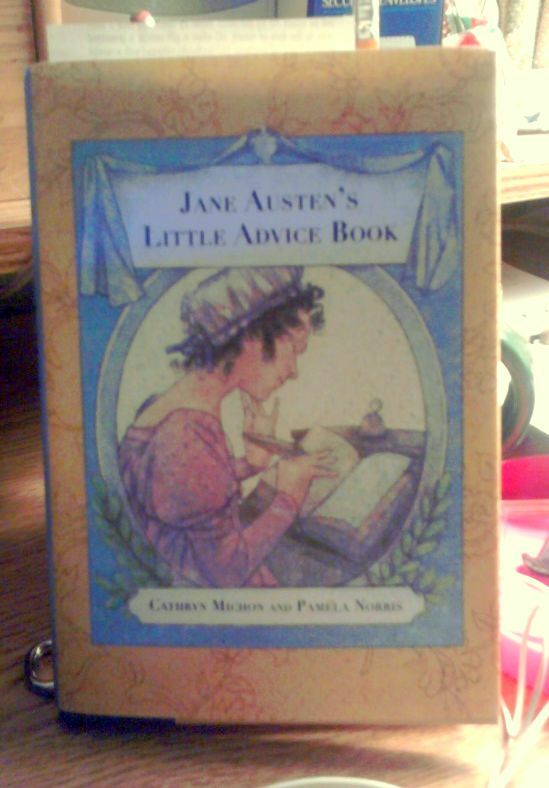 Among the various things on my desk (iPod chargers, checkbooks, bills (and more bills), Jelly Bellies, and Kleenexes) is a book called Jane Austen’s Little Advice Book (edited by Cathryn Michon and Pamela Norris). I’m warning you now because you WILL see Jane Austen quotes on a fairly regular basis. She is the inspiration for so many good things and the balm for all the bad things. Speaking of Persuasion, (it is neck-in-neck with Pride & Prejudice for my favorite Jane Austen book), remind me to share my Persuasion-themed poem one of these days.